A detective employs unconventional and controversial means to take down a gang of criminals. The most enticing and engaging stories are those that are reflective of the conflicts and emotions of the modern world. 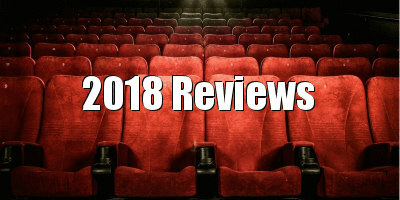 Movies further offer an enticing experience for their audiences when their characters are complex, the lines between good and bad are not as clearly defined, and the perceptions of wrong and right are not simple. One such story that upholds the contemplation over morals in its intricate characters is the new action crime drama, Den of Thieves, which was written by Christian Gudegast, who also made his feature film directorial debut on the project. 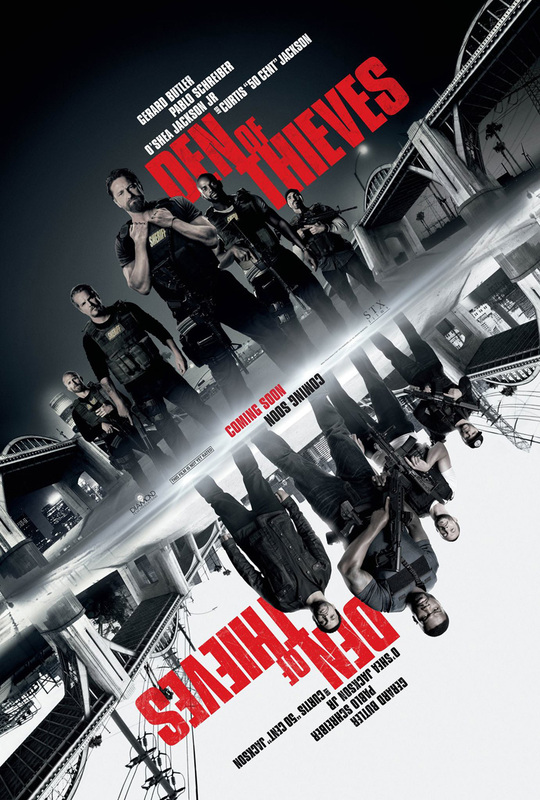 Den of Thieves focusses on an elite crew of bank robbers, who plot to pull off the ultimate heist, and the hard-working gang unit of the L.A. Sheriff’s department that’s determinedly working to bring the burglars to justice. The robbers, who are collectively referred to as the Outlaws, are led by the always-in-control Ray Merriman (Pablo Schreiber). The leader is joined by disciplined family man, Enson Levoux (50 Cent), and Bosco Ostroman (Evan Jones), a battle-hardened veteran and gifted thief. The Outlaws also recruit a new driver, Donnie Wilson (O’Shea Jackson Jr.), an ex-con bartender who may be out of his league. The gang operates with military precision and meticulous planning, which its members acquired from military special ops service and prison stints. However, in order to pull off the ultimate heist, the Outlaws will have to use their skills to outmaneuver the Major Crimes unit of the Los Angeles Sherriff’s Department, which is known as the Regulators. The unit operates in unconventional ways that often blur the lines between criminal and police behaviour, in order to bring down the most elusive and dangerous offenders. The Regulators are led by “Big Nick” O’Brien (Gerard Butler), a career detective who’s seemingly unencumbered by a moral compass. His career choices and priorities destroy what remains of his family life. But he’ll stop at nothing to put an end to Merriman’s crime spree, which has been taunting the authorities for years, due to his increasingly ambitious unsolved robberies. After a simple operation to commandeer an armoured truck turns into a brutal firefight, the Outlaws become the primary target of the Regulators. Rattled by the robbery gone sideways, Merriman sets his sights on the ultimate heist: infiltrating the Los Angeles branch of the Federal Reserve and stealing $30 million of unfit U.S. currency that’s being taken out of circulation before it can be shredded and destroyed. If they can pull of the heist, the Outlaws will steal money that nobody is looking for. After the Outlaws extensively research their plan, the Regulators are forced to track them down before the gang can pull off the unprecedented feat of stealing from the Federal Reserve. 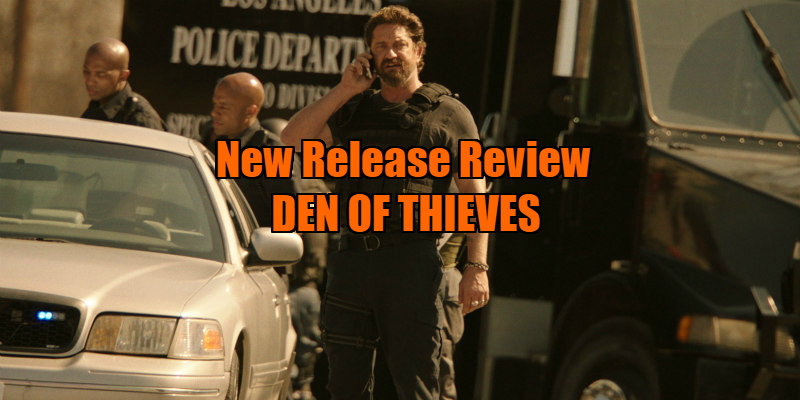 Den of Thieves is a distinct and alluring action crime drama that’s expertly driven by the specificity of the lifestyles of the Outlaws and Regulators. While the story is seemingly compelled by Merriman and his team’s plan to be the first group to successfully rob the Los Angeles office of the Federal Reserve, Gudegast notably crafts a nuanced and multi-faceted character-driven narrative overall. The filmmaker expertly highlights the complex relationships between the professional bank robbers and the detectives who are hunting them, and how the two crews operate. Showcasing why Merriman and “Big” Nick do what they do successfully overcomes typical heist stunts to become the true fuel for the movie. While “Big” Nick and his fellow detectives in the Major Crimes unit are driven to stop their proclaimed foes in the Outlaws gang, the drama intriguingly blurs the line between the protagonists and the antagonists, as both sides begin to take on both heroic and villainous natures. Merriman’s crew, which is made up of numerous military veterans, is motivated in part by the challenge of a complex mission more than just the sheer criminality. Conversely, “Big” Nick’s team have a fondness for relying more on alcohol and violence than by-the-book questioning in order to convince their suspects to cooperate with them. The line between detective and criminal is further blurred when Merriman and “Big” Nick realise, and accept, the fact that they’re adversaries of equal authority, as they set out to accomplish their ultimate goal. Butler, who previously collaborated with Gudegast when the latter wrote the script for the 2016 action thriller sequel, London Has Fallen, leaves a lasting impression with his portrayal of “Big” Nick. The actor powerfully showcases how the detective is intimidating, but not easily intimidated. He also effortlessly emphasises how strongly pretentious his character can be while he’s working, since he lives in a world where he has to be willing to do whatever it takes to obtain the information and results he needs. In the process of obsessively chasing each new lead in his cases, he has unfortunately forsaken the happiness, security and safety of his wife and their two young daughters. The detective is noteworthy in the fact that he recognises how he’s failed as a husband and father, in the effort of furthering his career, and wants to do whatever is necessary to protect his children. While Butler infuses “Big” Nick with an at-times tauntingly arrogant and brash demeanour, Schreiber balances the scale between the two leaders by instilling Merriman with a controlled and subdued manner. Schreiber gives a disciplined and intense performance as the criminal leader, who never wavers in showing his character’s determination and faith in his ability to succeed in the heist. The actor also revels in Merriman’s lack of fear and nihilism, as he’s learned not to be afraid of death in his lifestyle. Den of Thieves is a gritty Los Angeles action saga that captivatingly follows the intersecting and often personally connected lives of the elite Major Crimes unit of the L.A. County Sheriff’s Department and the state’s most successful bank robbery crew as the outlaws. Driven by the specificity of the lifestyles of the Outlaws and Regulators, which showcase how the lines between the detectives and criminals’ behaviour are blurred, and the strong performances by Butler and Schreiber, Gudegast crafts a taut action thriller that’s equal parts grand crime heist thriller and psychological drama. Den of Thieves is in UK/ROI cinemas February 2nd.